I love clay in all its infinite possibilities, textures and colors. I love looking at the work of all potters and sensing their hands and voices, past and present. I love shaping an amorphous lump of clay into a new form, treasuring both the acts of creation and organization. 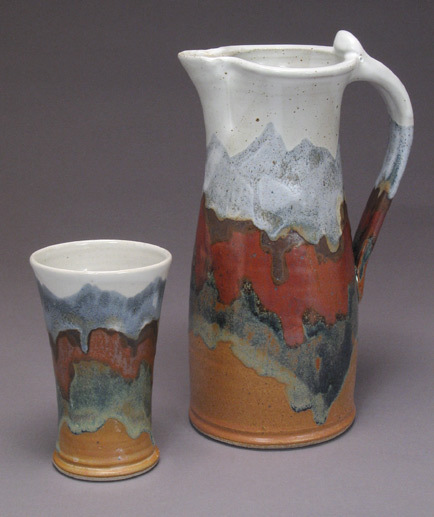 A self-trained potter, I spent ten years exploring clay avenues from raku to porcelain, from sculpture to mugs. At this time I am firmly settled into the life of a functional potter, working in high fired stoneware. 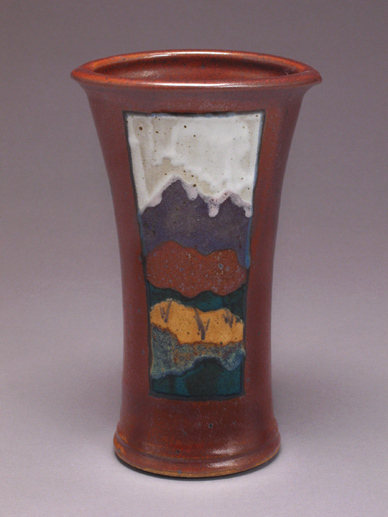 I get inspiration from the vibrant forms and hues of Colorado’s mountains and all the dry land country of the west. These I love, and this is reflected in my work. 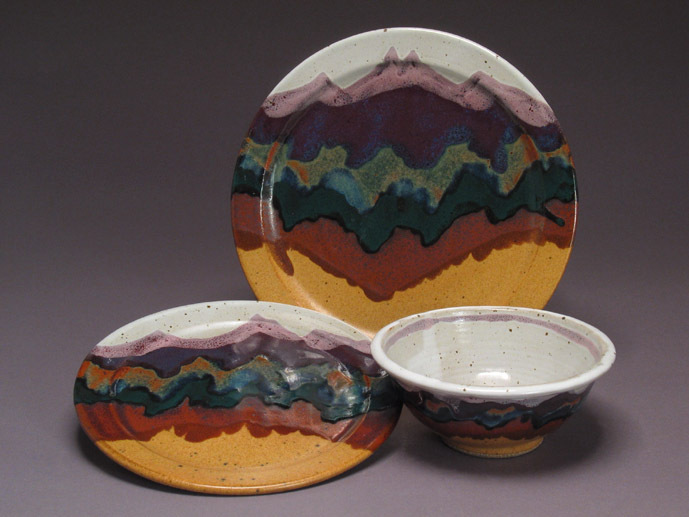 I use strongly contrasting glazes to achieve a lively, colorful effect. I want my pottery to look and feel good and to provide pleasure and grace to everyday life. My work life is divided pretty evenly between production in my home studio and glazing and high-firing at Castle Clay Studio in Denver. 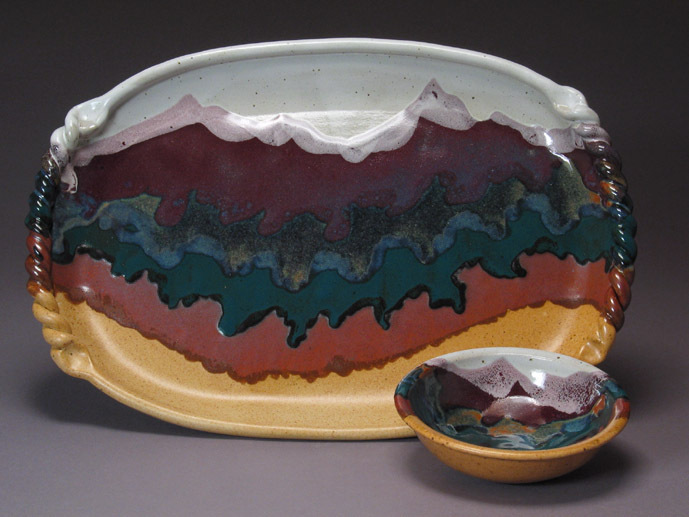 This division provides a good mix of solitude and contact with other clay artists. I reside with my family and cat in Littleton, Colorado.